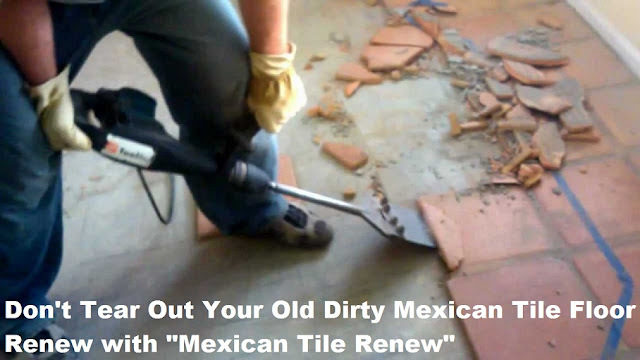 Don’t Rip Out and Replace Your Old Dirty Mexican Tile Floors Refinish with 'Mexican Tile Renew' Sarasota FL 941-926-7444. 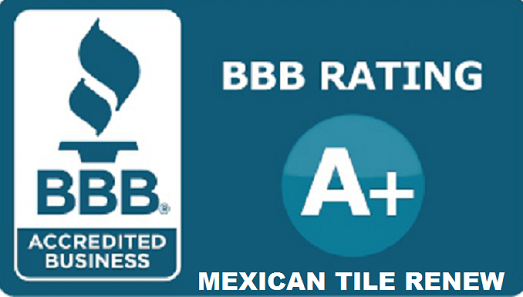 I wanted to thank Mexican Tile Renew for the great job they have done (inside and outside) the property. 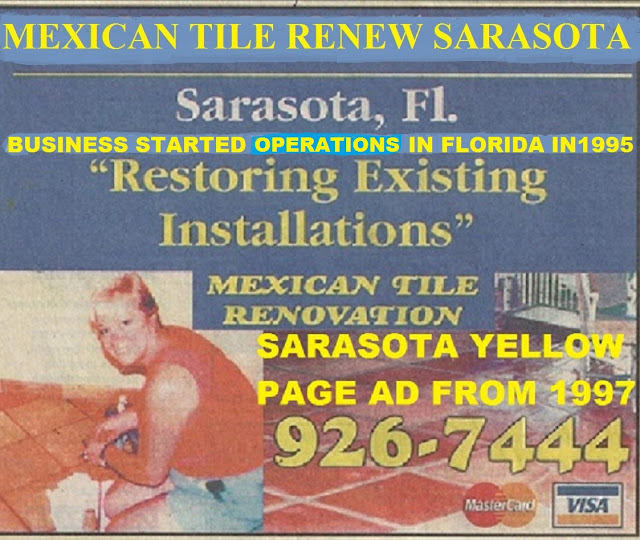 The owner of the company stayed on the job for the entire duration -- five + hours and worked side by side with his helpers. The result was -- magnificent cleaned up old, damaged tiles inside of the house. They also cleaned and renewed the outside pool deck. It looked great until the pool company came and ruined all that great work. 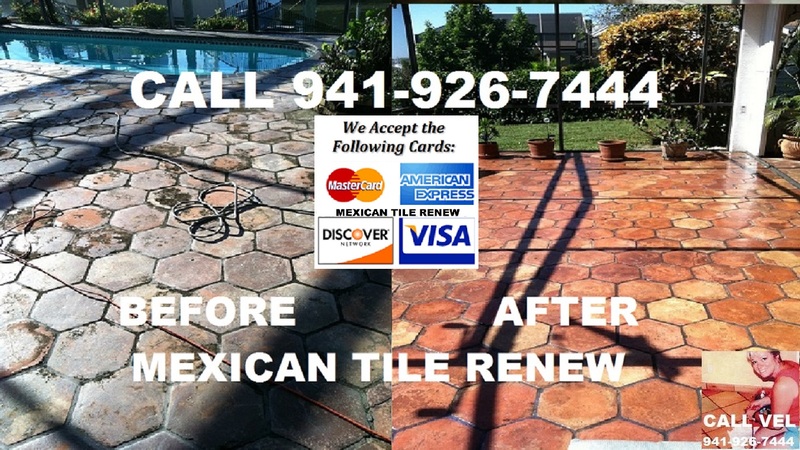 The owner was gracious and came back to review the damage done by negligent pool company and fixed the problem by stripping and sealing the space again. I was on a deadline to finish the job and I cannot thank them enough. 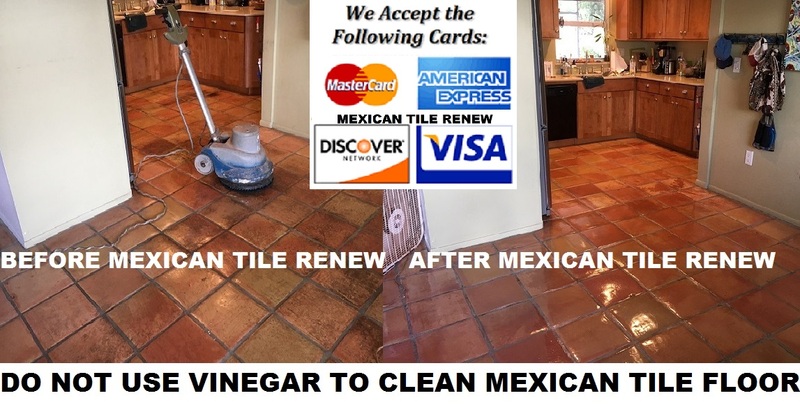 It's a good idea to consult with them and see if you need to clean or prepare your space (floor) prior to their arrival. 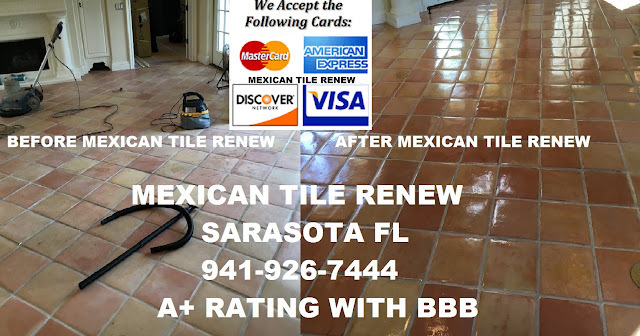 The sealer was clear and was dry within few hours. 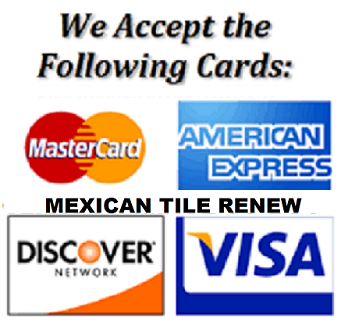 Thank you so much, Mexican Tile Renew Really, really appreciated it your hard work and advice. Labels: Don’t Rip Out and Replace Your Old Dirty Mexican Tile Floors Refinish with 'Mexican Tile Renew' Sarasota FL 941-926-7444.